The capabilities of Laboratory Information Systems (LIMS) have improved considerably in recent years, with more ways to manage samples and associated data. With the right LIMS, organizations can automate workflows, integrate instruments, produce results in a faster time, and even track data from sequencing runs over time and across experiments – improving efficiency. With such a comprehensive list of benefits, it’s no surprise that the LIMS market is anticipated to grow substantially within the next decade. What’s not to like? For a long time now, a LIMS has been one of the ‘go to’ products for organizations wishing to support their laboratory operations. Because, well, that was the done thing. With so much data being created in labs, finding a system to manage this unprecedented deluge makes sense, and for many labs a LIMS would seem the obvious choice – but adopting this technology isn’t always a straightforward as it sounds. And there is one big problem. 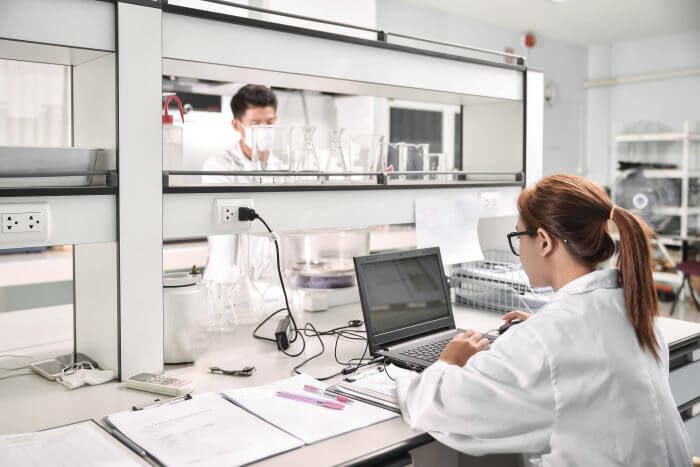 Although the features of laboratory information management systems have been adapted to better cope with the data requirements of modern labs, they often sit alone in the laboratory ecosystem, isolated from other technologies, leaving your data in a silo. If you want to take advantage of any new technologies or functionality, it means you’ll need to purchase another stand-alone system and undertake a costly, integration project with no guarantee of success. Is your LIMS built for the future of R&D work? With organizations creating more and more data than ever before – it’s estimated that humanity will produce 33 zettabytes of data this year alone (only nine zettabytes lower than all human languages ever spoken) – it’s clear we need to take better care of how we look after our data, and ensure the integrity of the data we are creating. But, to do that, organizations need to be prepared to invest in forward-looking solutions that can cope with the demands of collaborative R&D work. A disparate LIMS might just not cut it. Before introducing any new technology into a laboratory, think about what you actually ­need. Software can be used advantageously to manage a deluge of data, but is that really enough when you consider your financial investment? It helps to widen the net – you might correctly have identified your need for LIMS-like functionalities, but is that all? With the right platform, you can register samples, track their location, assign them to a project/study/run, enable schedules and notifications, retrieve raw data from instrument software, manage electronic methods and track their execution, prevent deviations and enable analysis and write up in a compliant auditable way, enabling fast searching and reporting for end to end processes. Everything you need from a LIMS, but with even more powerful technology. And these platforms are available now. Looking for a LIMS is a good start, remember to keep your options as open as possible… Understandably, with such a crowded market, it’s hard to know exactly what you’re looking for – and at IDBS, we can help. Get in touch with us today and our experts will be happy to talk through your requirements, making sure you make the best investment possible for your laboratory. Blog: Are LIMS becoming ELNs? Blog: To LIMS or not to LIMS?